Soothe your soles and pamper yourself with our full-service pedicures. Your service begins with a relaxing aromatic soak to relieve tension and prepare your feet for the treatment ahead. The technician will exfoliate your heels returning to them a soft and beautiful Shaping. A great manicure will have you looking as good as you feel! Our manicures begin with a warm soak to soften your skin and nails before filing, buffing and an application of cuticle oil. Your hands are then scrubbed to reveal younger suppler skin that is treated to a moisturizing rub before polish is applied. 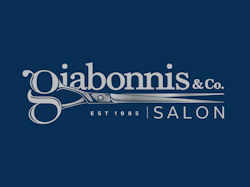 Giabonni's Riverside Salon and Spa uses the exclusive Bella LuccÃ¨ product line for all services. Bella LuccÃ¨ products use the most exotic ingredients on the planet. From the Mountains of Morocco, Manuka Honey from New Zealand, organic shea butter imported from Uganda and cocoa absolute from France. They have incorporated raw materials to create their decadent collection of innovative, eco-friendly and socially conscious spa products. We invite you to explore the philosophy behind Bella LuccÃ¨ and join us in a celebration of radiantly beautiful skin.